Elf on the Shelf - Is this Christmas tradition right for your family? What is Elf on the Shelf all about? So, you’re thinking about putting your big toe into the Elf on the Shelf waters… Not sure how to get started or if you really want to add this to your Christmas traditions? Affiliate links for your convenience, at no extra cost to you. 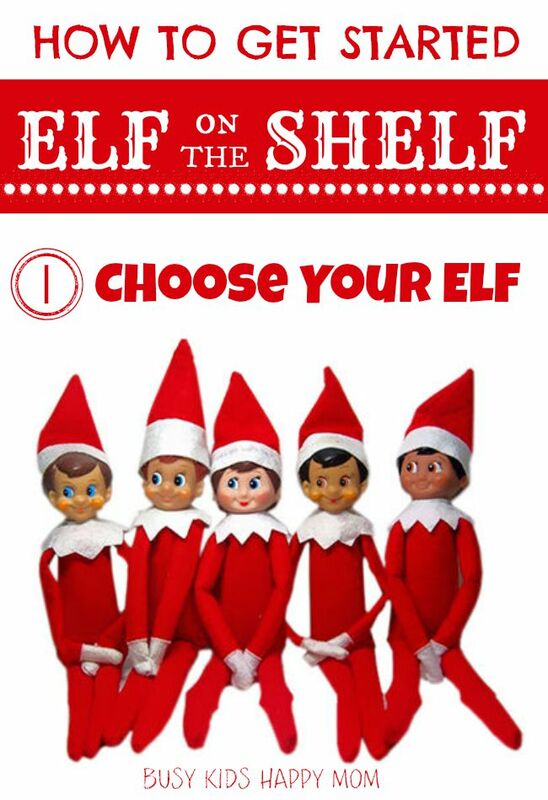 The first thing you need to do is choose your Elf. Did you know that elves today come with different eye color and skin color? You can also purchase the Girl Elf set, click here. That’s a big switch from when I purchased our family’s Elf several years ago. If you have a boy elf, but want to make it a Girl Elf … just buy it a skirt. When to start Elf on the Shelf? Our children were 7 and 9 when we began with the Elf. Looking back, I’m glad we waited until they asked for one. My son started hearing about the elves at school. Be forewarned: in Elementary School, the kids can get a little competitive and tell some pretty outlandish stories to their friends. I think this adds to the Pinterest pressure to have a fun elf. It would be easy to jump into the Elf antics too early and then get burned out! That said, start simple by just moving it every night. Little Christmas elves have been popular decorations and ornaments for years. Our family even has an antique Elf. My husband’s grandmother would hide it around their home and in their Christmas tree. Moving it everyday. Sound familiar? Fast forward to the 2008 Best Toy Award: Elf on the Shelf. 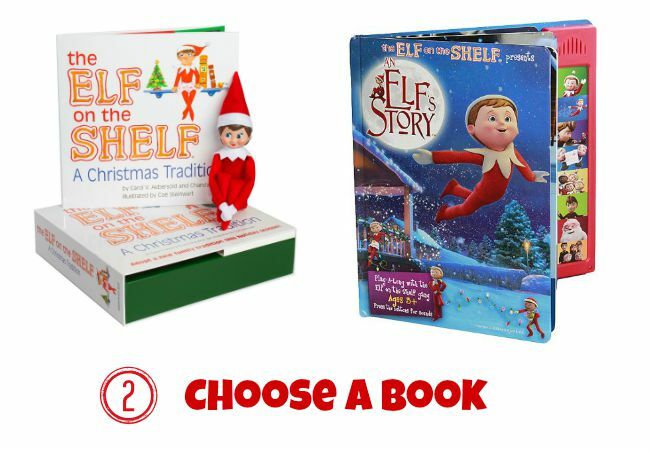 The Elf on the Shelf book explains that the elves get their magic when they are named. Once the Elf receives it’s name, it gives them the magic to fly back and forth to the North Pole. Our Elf is named Franklin because we’d just visited the Franklin Institute in Philadelphia, PA. Big name for a little guy, but it works. The The Elf on the Shelf story describes how the elves hide in homes to watch over events (naughty and nice). When the kids go to bed, they fly back and report to Santa every night. Before the family wakes up each morning, the Elf flies back from the North Pole and hides in a new spot. It’s almost if the family is playing a game of non-stop hide-and-seek with their Elf. If this is a story that you want to embrace, buy the book. If not, just enjoy Elf antics in your home without the “reporting” to Santa. We just enjoy the book as a fun story and it helped us discuss as a family what our Elf would be like for our family. We decided early on that the parents were the only ones who could touch the Elf. The book tells how the magic might disappear if the Elf is touched. In our experience, Elves fall out of Christmas trees, get captured by dogs, and fall off of crazy parent made contraptions. 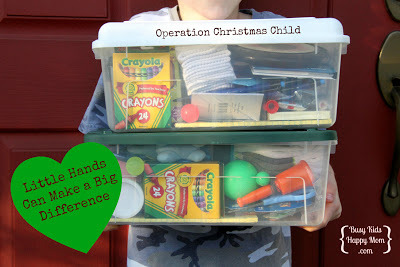 Many families devise special ways to give the Elf it’s magic back. If you’re just starting out, keep it simple and stick with the hide-an-seek option (in my opinion). When does Elf on the Shelf begin? One of our first years I started right after Thanksgiving and got burned out by December 10th! I just.didn’t.think.I.could.do.it! You, all parents, get the picture. Now I begin the Elf on the Shelf antics from December 1st until Christmas Eve. 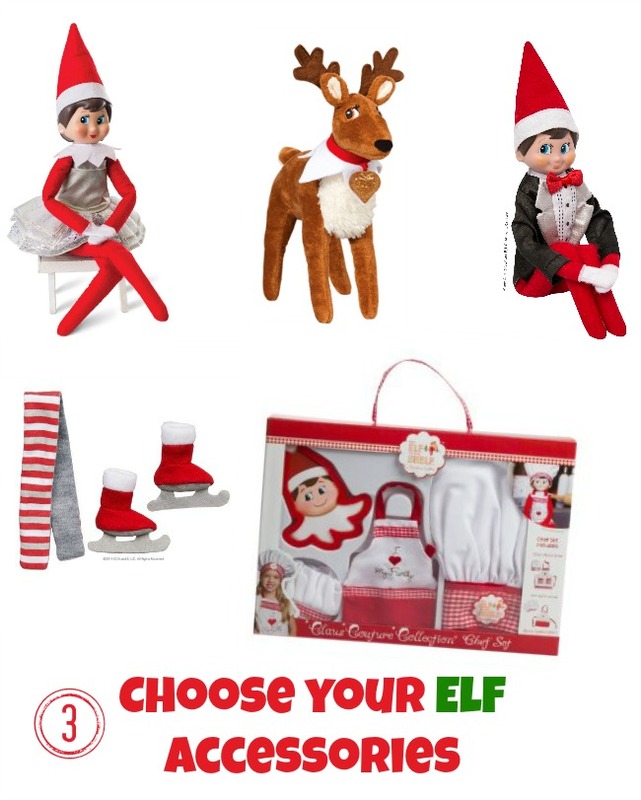 Wanting your own Elf on the Shelf plan? We have created 25 Days of Elf on the Shelf Ideas, just for you. When does Elf on the Shelf leave? The story ends on Christmas Day with the Elf leaving to stay with Santa for the rest of the year until the following Christmas season. Some families allow their kids to hug it and whisper their Christmas wishes to it before he leaves. We’ve found that we need some closure from all of the fun. We have let our Elf stay on past Christmas because it was too sad to have everything end all at once. Want to spice up your Elf or add a little pizzazz to your Elf experience? You can purchase Elf pets, Elf clothing (dresses, tuxedos, scarves), and even an apron set. They’re always coming out with more accessories. We’ve made our own Elf Donuts (Cheerios with icing), cups from a thimble, Superman cape from felt, snowballs from marshmallows, and even an Elf Snuggie (remember those?). Do you need to purchase extra things? Not necessarily, but it can add to the fun! Good Behavior or Just for Fun? We chose to just use our Elf as a fun way to count down the days to Christmas. Some families choose to have it “watch” their children and not move if the kids are naughty. In our family, we’ve chosen to tell our kids that the Elf, like Santa, is just a fun game we play at Christmas. The Elf on the Shelf stories promote that the Elf goes back and reports to Santa every night. We felt that this story line would bring undo stress to our children. Having it be “just for fun” made it easier on us. 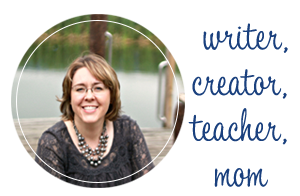 How creative do you want to be? It really depends on you. We started out pretty creatively, saying that now I would suggest if you’re just beginning this family tradition, start simple! Maybe just move him everyday and then once a week do something spectacular. It’s up to you. My husband grew up with a little Elf that just moved around and he had fond memories of it. Life is already busy enough and Christmas can be overstimulating and stressful as it is, so choose wisely from the beginning. This post was first published 2015. Updated 2018. 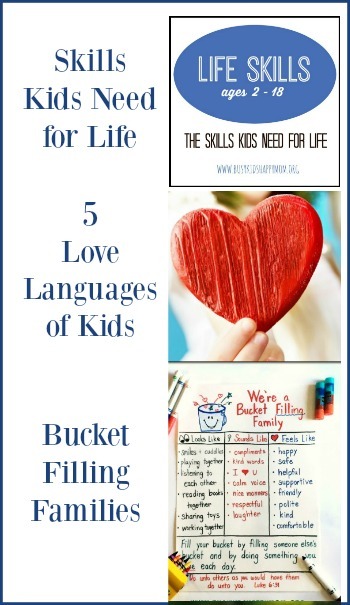 Great guide for a beginner like me Kristen, my children indirectly thank you, very much appreciated, have an awesome Christmas ! Your site was very helpful. I am a first time elf on the shelf. My son is five and I think he will enjoy this. I am creative and this will be fun for me too! My question is how should his first arrival be I am thinking by mail? And how do I get a welcome letter addressing his arrival. Does that come in the box when I purchase the elf? Any advise would be helpful and appreciated 😊. Hi Christine – You can do your elf anyway you want to. It’s totally up to you! Some creative days, some relaxed fun days. As far as a letter, I’m not sure. Our elf came with a book. I’m sure there are welcome letters on-line somewhere. There are a TON of elf fans out there!